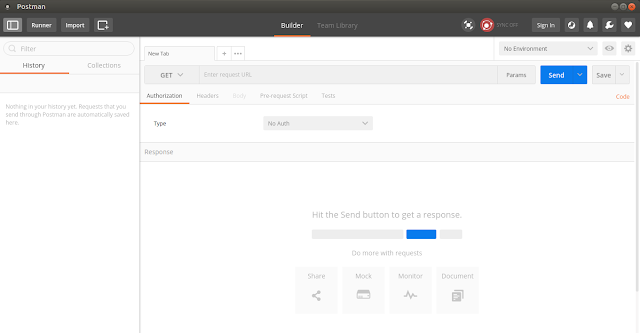 Postman makes API development faster, easier, and better. Postman is the most complete toolchain for API development. The most-used REST client worldwide. Designed from the ground up to support the API developer. Intuitive user interface to send requests, save responses, add tests, and create workflows. Postman’s API documentation feature allows you to share public or private API documentation, beautifully viewable via a web page. Postman generates and hosts browser-based API documentation for your collections automatically in real-time. Each collection has a private and public documentation view, generated in real-time using the data synced to our servers. In order to access the private view, click “View in web” in the Postman app or in the “Team Library”. The public view is accessible via the public link, generated when you publish your documentation. This link will be displayed right after your documentation is published, and is also accessible via the “Published” dropdown in the private documentation view. Documentation is organized into sections that reflect the structure of your collection, by ordered requests and folders. Descriptions can be customized using Markdown styling with embedded graphics to complement your documentation. GitHub flavored markdown is also supported, so you can even include tables. When including block elements, ensure that you leave an empty line before and after to avoid any rendering issues.